Philippe Petit (French pronunciation: ​[filip pəti]; born 13 August 1949) is a French high-wire artist who gained fame for his high-wire walk between the towers of Notre Dame Cathedral in Paris, 1971 as well as his high-wire walk between the Twin Towers of the World Trade Center in New York City, on the morning of 7 August 1974. For his unauthorized feat 400 metres (1,312 feet) above the ground – which he referred to as "le coup" – he rigged a 200-kilogram (440-pound) cable and used a custom-made 8-metre (30-foot) long, 25-kilogram (55-pound) balancing pole. He performed for 45 minutes, making eight passes along the wire. The following week, he celebrated his 25th birthday. All charges were dismissed in exchange for him doing a performance in Central Park for children. Since then, Petit has lived in New York, where he has been artist-in-residence at the Cathedral of St. John the Divine, also a location of other aerial performances. He has done wire walking as part of official celebrations in New York, across the United States, and in France and other countries, as well as teaching workshops on the art. In 2008, Man on Wire, a documentary directed by James Marsh about Petit's walk between the towers, won numerous awards. He was also the subject of a children's book and an animated adaptation of it, released in 2005. The Walk, a movie based on Petit's walk, was released in September 2015, starring Joseph Gordon-Levitt as Petit and directed by Robert Zemeckis. Within one year, I taught myself to do all the things you could do on a wire. I learned the backward somersault, the front somersault, the unicycle, the bicycle, the chair on the wire, jumping through hoops. But I thought, "What is the big deal here? It looks almost ugly." So I started to discard those tricks and to reinvent my art. In June 1971, Petit secretly installed a cable between the two towers of Notre Dame de Paris. On the morning of 26 June 1971, he "juggled balls" and "pranced back and forth" as the crowd below applauded. Petit became known to New Yorkers in the early 1970s for his frequent tightrope-walking performances and magic shows in the city parks, especially Washington Square Park. Petit's most famous performance was in August 1974, conducted on a wire between the roofs of the Twin Towers of the World Trade Center in Manhattan, a quarter mile above the ground. The towers were still under construction and had not yet been fully occupied. He performed for 45 minutes, making eight passes along the wire, during which he walked, danced, lay down on the wire, and saluted watchers from a kneeling position. Office workers, construction crews and policemen cheered him on. Petit conceived his "coup" when he was 18, when he first read about the proposed construction of the Twin Towers and saw drawings of the project in a magazine, which he read in 1968 while sitting at a dentist's office. Petit was seized by the idea of performing there, and began collecting articles on the Towers whenever he could. What was called the "artistic crime of the century" took Petit six years of planning. During this period, he learned everything he could about the buildings and their construction. In the same period, he began to perform high-wire walking at other famous places. Rigging his wire secretly, he performed as a combination of circus act and public display. In 1971, he performed his first such walk between the towers of the cathedral of Notre Dame de Paris, while priests were being ordained inside the building. In 1973, he walked a wire rigged between the two north pylons of the Sydney Harbour Bridge, in Sydney, Australia. In planning for the Twin Towers walk, Petit had to learn how to accommodate such issues as the swaying of the high towers due to wind, which was part of their design; effects of wind and weather on the wire at that height, how to rig a 200 ft (61 m) steel cable across the 138 ft (42 m) gap between the towers (at a height of 1,368 ft (417 m)), and how to gain entry with his collaborators, first to scope out the conditions and lastly, to stage the project. They had to get heavy equipment to the rooftops. He traveled to New York on numerous occasions to make first-hand observations. Since the towers were still under construction, Petit and one of his collaborators, New York-based photographer Jim Moore, rented a helicopter to take aerial photographs of the buildings. Jean-François and Jean-Louis helped him practice in a field in France, and accompanied him to take part in the final rigging of the project, as well as to photograph it. Francis Brunn, a German juggler, provided financial support for the proposed project and its planning. Petit and his crew gained entry into the towers several times and hid in upper floors and on the roofs of the unfinished buildings in order to study security measures. They also analyzed the construction and identified places to anchor the wire and cavalletti[dubious – discuss]. Using his own observations, drawings, and Moore's photographs, Petit constructed a scale model of the towers in order to design the needed rigging for the wire walk. Working from an ID of an American who worked in the building, Petit made fake identification cards for himself and his collaborators (claiming that they were contractors who were installing an electrified fence on the roof) to gain access to the buildings. Prior to this, Petit had carefully observed the clothes worn by construction workers and the kinds of tools they carried. He also took note of the clothing of office workers so that some of his collaborators could pose as white collar workers. He observed what time the workers arrived and left, so he could determine when he would have roof access. As the target date of his "coup" approached, he claimed to be a journalist with Metropolis, a French architecture magazine, so that he could gain permission to interview the workers on the roof. The Port Authority allowed Petit to conduct the interviews, which he used as a pretext to make more observations. On the night of Tuesday, 6 August 1974, Petit and his crew had a lucky break and got a ride in a freight elevator to the 110th floor with their equipment. They stored it 19 steps below the roof. In order to pass the cable across the void, Petit and his crew had settled on using a bow and arrow attached to a rope. They had to practice this many times to perfect their technique. They first shot across a fishing line, which was attached to larger ropes, and finally to the 450-pound steel cable. The team was delayed when the heavy cable sank too fast, and had to be pulled up manually for hours. Petit had already identified points at which to anchor two tiranti (guy lines) to other points to stabilize the cable and keep the swaying of the wire to a minimum. Shortly after 7 am local time, Petit stepped out on the wire and started to perform. He was 1350 feet (411 m), a quarter mile, above the ground. He performed for 45 minutes, making eight passes along the wire, during which he walked, danced, lay down on the wire, and knelt to salute watchers. Crowds gathered on the streets below. He said later that he could hear their murmuring and cheers. When NYPD and PAPD officers learned of his stunt, they came up to the roofs of both buildings to try to persuade him to get off the wire. They threatened to pluck him off by helicopter. Petit got off when it started to rain. There was extensive news coverage and public appreciation of Petit's high-wire walk; the district attorney dropped all formal charges of trespassing and other items relating to his walk. In exchange, Petit was required to give a free aerial show for children in Central Park. He performed on a high-wire walk in the Park above Belvedere Lake (known now as Turtle Pond). The Port Authority of New York and New Jersey gave Petit a lifetime pass to the Twin Towers' Observation Deck. He autographed a steel beam close to the point where he began his walk. Petit's high-wire walk is credited with bringing the Twin Towers much needed attention and even affection, as they initially had been unpopular. Critics such as historian Lewis Mumford had regarded them as ugly and utilitarian in design, and too large a development for the area. The Port Authority was having trouble renting out all of the office space. Mordicai Gerstein wrote and illustrated a children's book, The Man Who Walked Between The Towers (2003), which won a Caldecott Medal for his art. It was adapted and produced as an animated short film by the same title, directed by Michael Sporn and released in 2005, which won several awards. The documentary film Man on Wire (2008) by UK director James Marsh is about Petit and his 1974 WTC performance. It won both the World Cinema Jury and Audience awards at the Sundance Film Festival 2008. It combines historical footage with re-enactment and has the spirit of a heist film. It won awards at the 2008 Full Frame Documentary Film Festival in Durham, North Carolina, and the Academy Award for Best Documentary in 2009. On stage with Marsh to accept the Oscar award, Petit made a coin vanish in his hands while thanking the Academy "for believing in magic". He balanced the Oscar by its head on his chin to cheers from the audience. Petit's memoir was also adapted as a biographical drama entitled The Walk (2015), directed by Robert Zemeckis and starring Joseph Gordon-Levitt as Petit. Petit has made dozens of public high-wire performances in his career; in 1986 he re-enacted the crossing of the Niagara River by Blondin for an IMAX film. In 1989, to celebrate the 200th anniversary of the French Revolution, mayor Jacques Chirac invited him to walk an inclined wire strung from the ground at the Place du Trocadéro to the second level of the Eiffel Tower, crossing the Seine. Petit briefly headlined with the Ringling Brothers Circus, but preferred staging his own performances. During his stint with the circus and a practice walk, he suffered his only fall, from 45 feet (14 m), breaking several ribs. He says he has never fallen during a performance. "If I had, I wouldn't be here talking about it." Petit regularly gives lectures and workshops internationally on a variety of topics and subjects. He single-handedly built a barn in the Catskill Mountains using the methods and tools of 18th-century timber framers. He wrote his eighth book, A Square Peg. He has also created an ebook for TED Books, entitled Cheating the Impossible: Ideas and Recipes from a Rebellious High-Wire Artist. Petit divides his time between New York City, where he is an artist in residence at the Cathedral of Saint John the Divine, and a hideaway in the Catskill Mountains. Among those who have associated with some of his projects are such artists as: Mikhail Baryshnikov, Werner Herzog, Annie Leibovitz, Miloš Forman, Volker Schlöndorff, Twyla Tharp, Peter Beard, Marcel Marceau, Paul Auster, Paul Winter, Debra Winger, Robin Williams and Sting. Director James Signorelli assisted with creation of the book To Reach the Clouds (2002), about the Twin Towers walk. Petit not only wrote about his feat, and events that led to the performance, but also expressed his feelings following the September 11 attacks, during which the Twin Towers were destroyed. He wrote that on that morning, "My towers became our towers. I saw them collapse – hurling, crushing thousands of lives. Disbelief preceded sorrow for the obliteration of the buildings, perplexity descended before rage at the unbearable loss of life." Petit paid tribute to those who were killed and supported rebuilding the towers, promising that "When the towers again twin-tickle the clouds, I offer to walk again, to be the expression of the builders' collective voice. Together, we will rejoice in an aerial song of victory." A different complex of buildings has been developed on the site, and does not offer this opportunity. 2015 The Walk US 3D biographical drama directed by Robert Zemeckis and starring Joseph Gordon-Levitt as Petit. The song, "Man on Wire" by the band 27 is a tribute to Philippe Petit. The song, "Sleepwalking," by Danish composer Ste van Holm is a tribute to Petit's World Trade Center walk. The Low Anthem's song, "Boeing 737", from their 2011 album Smart Flesh, refers to Petit's Twin Towers walk. American rock band Incubus used a photo of Petit as the cover art for their album, If Not Now, When? (2011). Colum McCann's National Book Award-winning novel, Let the Great World Spin (2009), features Petit's Twin Towers walk as its opening passage and a centrepiece to which numerous characters are connected. "Funambulist", a song by American metal band Cormorant, is about his walk between the Twin Towers. The song "Step Out Of The Void" by musician Howard Moss is a tribute to Philippe Petit, in the album Outside the Pale (2013). The song "Man On A Wire" by The Script on their fourth album, No Sound Without Silence, is influenced by Petit's high-wire legacy. The song "Stand Up Comedy" by U2 on their twelfth album, No Line On The Horizon, references "The wire is stretched in between our two towers". Petit was the inspiration for the 5th Anniversary 9/11 cover of The New Yorker magazine (11 September 2006), "Soaring Spirit", by John Mavroudis (concept) and Owen Smith (art). That cover was named Cover of the Year by the American Society of Magazine Editors (ASME). The two-part cover was a first for The New Yorker. ^ a b c Lichtenstein, Grace (8 August 1974). "Stuntman, Eluding Guards, Walks a Tightrope Between Trade Center Towers". The New York Times. Retrieved 18 April 2008. Combining the cunning of a second-story man with the nerve of an Evel Knievel, a French high-wire artist sneaked past guards at the World Trade center, ran a cable between the tops of its twin towers and tightrope-walked across it yesterday morning. ^ a b c d Marsh, James (Director) (2008). Man on Wire (Documentary). ^ Tomkins, Calvin, "The Man Who Walks on Air," New Yorker Magazine, 1999, excerpted in Life Story, by David Remnick, Modern Library Paperback edition, 2001. ^ "Sneaky Juggler Has Ball Up In Sky At Notre Dame". The Ogden-Standard Examiner (AP story). 27 June 1971. p. 1. ^ "New York: The Center of the World". American Experience. PBS/WGBH. ^ Man On Wire DVD, "Philippe Petit's Sydney Harbor Bridge Crossing" bonus feature. ^ Higginbotham, Adam (19 January 2003). "The second part of Philippe Petit's story". The Guardian. London. ^ Lichtenstein, Grace (8 August 1974). "Stuntman, Eluding Guards, Walks a Tightrope Between Trade Center Towers". The New York Times. Retrieved 31 October 2010. ^ a b "Before & After; Talking of the Towers" The New York Times. ^ Kilgannon, Corey (7 August 2005). "Tightrope Walk Between Twin Towers Is Recalled". The New York Times. ^ kingkongphoto123 (22 February 2009). "My hero Phillipe Petit wins Oscar". YouTube. Retrieved 27 June 2012. ^ "The House That Came Wired". 22 March 2013 – via Wall Street Journal. ^ To Reach the Clouds: My High Wire Walk Between the Twin Towers – Philippe Petit – Google Books. Books.google.com. 4 September 2002. ISBN 9781429921862. Retrieved 27 June 2012. ^ a b To Reach the Clouds: My High Wire Walk Between the Twin Towers – Philippe Petit – Google Books. Books.google.com. Retrieved 27 June 2012. ^ "Edward Suzuki Profile". Edward.net. Archived from the original on 6 June 2012. Retrieved 27 June 2012. ^ "Press Material – Philippe Petit" (PDF). cami.com. Retrieved 27 June 2012. ^ "27 – Man On Wire (Re-Wire)". YouTube. 7 August 1974. Retrieved 27 June 2012. ^ "sleepwalking_lyrics". Ste van Holm. Archived from the original on 25 April 2012. Retrieved 27 June 2012. ^ Jackson, Dan (8 April 2011). "Low Anthem's Circus High-Wire Act". Spin. Retrieved 24 May 2011. ^ Gotrich, Lars. "Cormorant: Follow the Blackened Thread". NPR Music. Retrieved 10 March 2012. ^ "Best Cover Contest 2007 Winners & Finalists – ASME". Rosenthal, Adam (1 September 2012). "Suspended Reading: Man on Wire, 9/11 and the Logic of the High-Wire." Screening the Past. Hager, Emily (12 August 2010). "Learning to Walk in the Slippers of a High-Wire Artist". New York Times. Retrieved 12 August 2010. Green, Penelope (21 September 2006). "A High-Wire Master Touches Down". New York Times. Retrieved 18 April 2008. Higginbotham, Adam (19 January 2003). "On top of the world". London: The Guardian. Tomkins, Calvin (5 April 1999). "Onward and Upward with the Arts, "The Man Who Walk on Air"". The New Yorker. Mason, Anthony (3 February 2009). "The Great Feat Of Philippe Petit, CBS Evening News: Talking With The Man Who Walked The Twin Towers". CBS. Colbert, Stephen (27 January 2009). "Philippe Petit". Comedy Central. Langston, Bonnie (24 April 2009). "Still Working the Wire". Daily Freeman. Tucker, Reed (13 April 2008). "The Man Who Walked Between the Twin Towers Stars in a New Documentary on his High-Wire Act". New York Post. Heller, Sabine (10 May 2010). "Philippe Petit, Man On Wire: "I'm Afraid of Animals With Too Many Legs or No Legs at All"". Huffington Post. Grace, Lichtenstein (8 August 1974). "Stuntman, Eluding Guards, Walks a Tightrope Between Trade Center Towers". New York Times. "Not My Job: Philippe Petit". NPR. 7 February 2009. 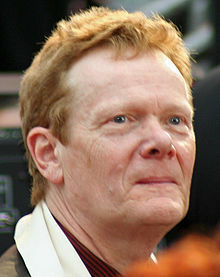 Wikimedia Commons has media related to Philippe Petit. Philippe Petit: The journey across the high wire, TED2012, Filmed Mar 2012, Posted May 2012.